From diagnosis to treatment, our team of hematologic oncology specialists utilize the latest technology and treatment protocols with a continued goal of positive outcomes and quality of life for each and every patient. Thank you for entrusting your health in our care. If you or a loved one is dealing with a diagnosis of leukemia, our comprehensive oncology team of specialists at West Cancer Center & Research Institute is here to surround you with the latest treatments and technology to design a personalized treatment plan specific for your disease. Our goal is to also provide resources and information to better help you understand and manage your leukemia. Leukemia is cancer of the body’s blood-forming tissues, including the bone marrow and the lymphatic system. Many types of leukemia exist. Leukemia usually involves the white blood cells. Your white blood cells are potent infection fighters — they normally grow and divide in an orderly way, as your body needs them. But in people with leukemia, the bone marrow produces abnormal white blood cells, which don’t function properly. There is no standard staging. The disease is described as untreated, in remission, or recurrent. There are too many lymphocytes in the blood and the lymph nodes are larger than normal. Chronic lymphocytic leukemia, there are too many lymphocytes in the blood, the liver or spleen is larger than normal, and the lymph nodes may be larger than normal. Chronic lymphocytic leukemia, there are too many lymphocytes in the blood and there are too few red blood cells, and the lymph nodes, liver, or spleen may be larger than normal. Chronic lymphocytic leukemia, there are too many lymphocytes in the blood and too few platelets, the lymph nodes, liver, or spleen may be larger than normal, and there may be too few red blood cells. There is no standard staging system for chronic myelogenous leukemia (CML), instead, the disease is classified by phase: chronic phase, accelerated phase, or blastic phase. It is important to know the phase in order to plan treatment. 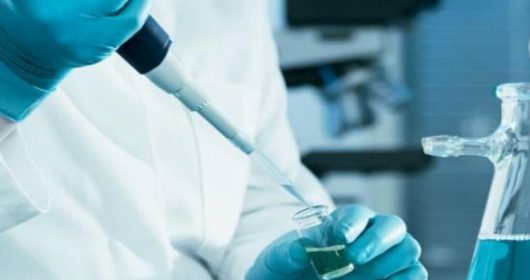 The information from tests and procedures done to detect (find) and diagnose chronic myelogenous leukemia is also used to plan treatment. 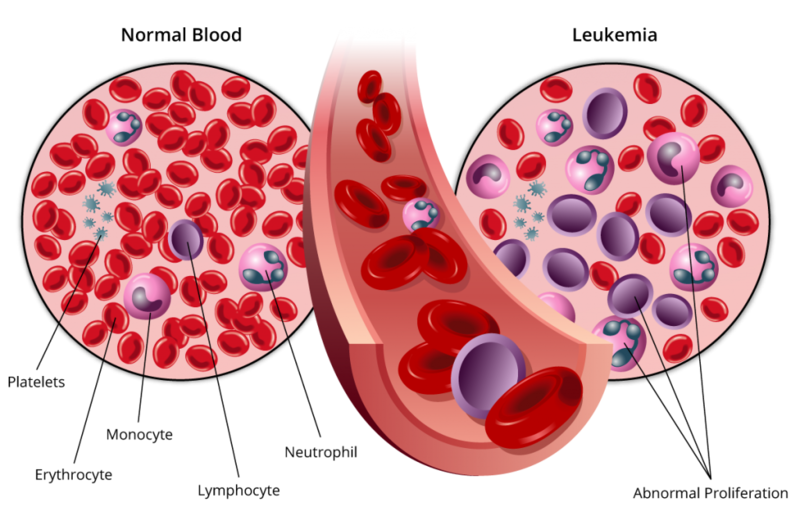 Fewer than 10% of the cells in the blood and bone marrow are blast cells. 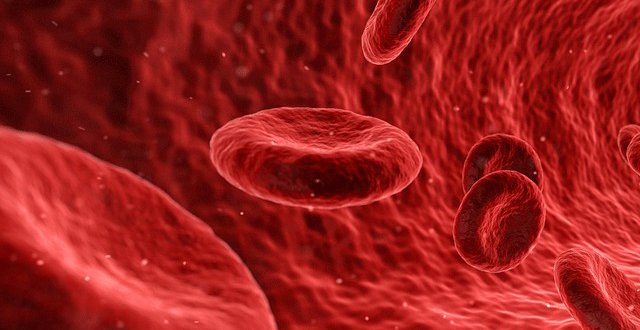 10% to 19% of the cells in the blood and bone marrow are blast cells. Leukemia symptoms vary, depending on the type of leukemia. If you are experiencing any of these symptoms, we urge you to speak to your provider as soon as possible for further examination. Your doctor will look for physical signs of leukemia, such as pale skin from anemia, swelling of your lymph nodes, and enlargement of your liver and spleen. By looking at a sample of your blood, your doctor can determine if you have abnormal levels of red or white blood cells or platelets — which may suggest leukemia. Your doctor may recommend a procedure to remove a sample of bone marrow from your hipbone. The bone marrow is removed using a long, thin needle. The sample is sent to a laboratory to look for leukemia cells. Specialized tests of your leukemia cells may reveal certain characteristics that are used to determine your treatment options. Treatment for your leukemia depends on many factors. Your doctor determines your leukemia treatment options based on your age and overall health, the type of leukemia you have, and whether it has spread to other parts of your body, including the central nervous system. Biological therapy works by using treatments that help your immune system recognize and attack leukemia cells. Chemotherapy is the major form of treatment for leukemia. This drug treatment uses chemicals to kill leukemia cells. Depending on the type of leukemia you have, you may receive a single drug or a combination of drugs. These drugs may come in a pill form, or they may be injected directly into a vein. Ask your physician if you are a candidate for a clinical trial. Targeted therapy uses drugs that attack specific vulnerabilities within your cancer cells. Radiation therapy uses X-rays or other high-energy beams to damage leukemia cells and stop their growth. During radiation therapy, you lie on a table while a large machine moves around you, directing the radiation to precise points on your body. A stem cell transplant is a procedure to replace your diseased bone marrow with healthy bone marrow. Before a stem cell transplant, you receive high doses of chemotherapy or radiation therapy to destroy your diseased bone marrow. Then you receive an infusion of blood-forming stem cells that help to rebuild your bone marrow. You may receive stem cells from a donor, or in some cases you may be able to use your own stem cells. A stem cell transplant is very similar to a bone marrow transplant.